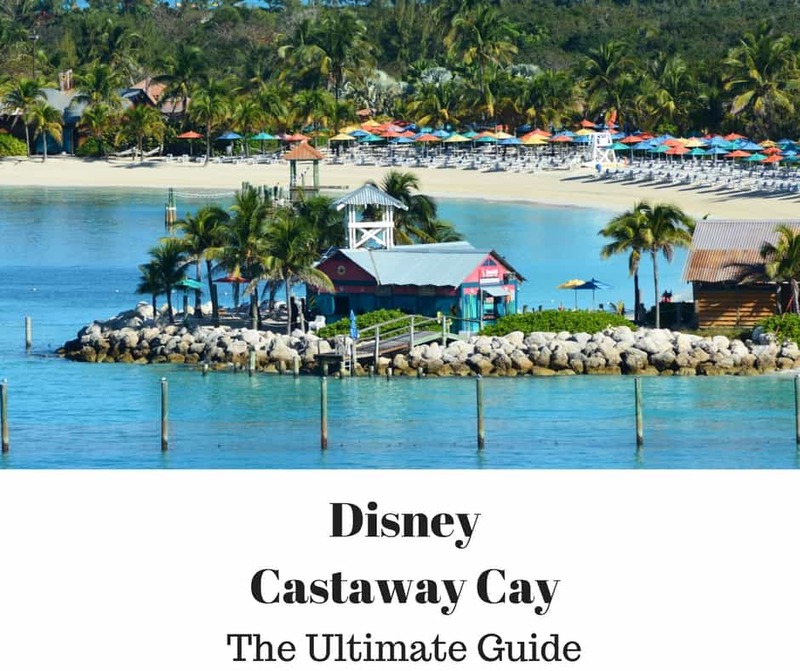 The Disney Cruise Castaway Cay Stingray Adventure is one of the most popular excursions on Disney’s beautiful private island so if you want to experience this it is best to book ahead online prior to your cruise. 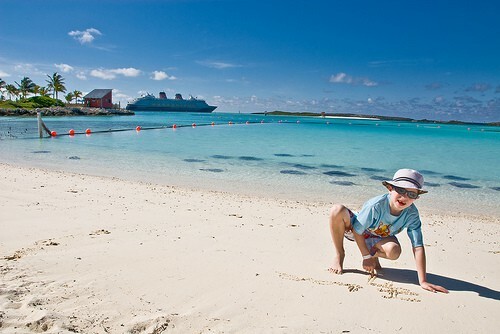 The price of the Castaway Cay Stingray Adventure is $52 for adults and $41 for children aged 5 to 9. Little ones do have to be aged at least 5 to participate in the Stingray activity. Under 16s must be accompanied by an adult 18 or older for this excursion. The Disney Cruise Castaway Cay Stingray Adventure experience lasts approximately one hour. If you have booked this experience you will head to Castaway Ray’s to check in. You will be given your scuba gear and life vests. The first part of the Stingray experience is an educational talk about the sting rays. It is a good introduction to learn about the stingrays and be told the right way to interact with them. 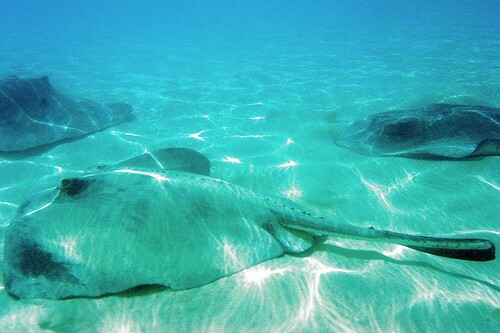 You will then be split into smaller groups, each headed by a Cast Member, to begin your interaction with the stingrays. You carefully enter the water, in a shuffle style that is explained to you so that you don’t disturb the sting rays. You walk out to the ‘dining area’ – a horseshoe shaped area where the rays are trained that they will find food on the Mickey shapes. You will be able to get very close to the rays and touch them as they take the food out of your hand. The next part is about 30 minutes of snorkel time on your own. Guests report differently on this part of the Disney Cruise Castaway Cay Stingray Adventure excursion. Some say they see lots of stingrays and others saying that once the feeding time is over the rays swim away. It is best if you can possibly get an earlier time for this excursion of around 10am. The water will be clearer earlier on in the day as not so much sand will have been kicked up by your fellow guests who have done the excursion before you. The sun will also not be as strong early in the morning. It is a great idea to bring a water proof camera with you as you will get the chance to get some great pictures. After the hour is up you have to hand back your snorkel equipment unless you have purchased that separately. It can be more economical to book the Extreme Getaway Package on Castaway Cay if you are going to to the Stingray Adventure. This includes the Stingray Adventure, Snorkel Equipment for the day, Float Tube Rental for the day and One Hour Bicycle Rental. Have you experienced the Disney Cruise Castaway Cay Stingray Adventure? What did you think of it?